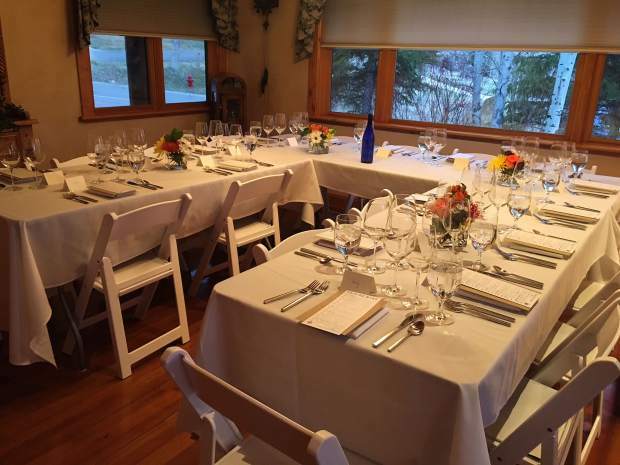 On April 14, High Country Healing and UpRooted Events hosted their first weed-infused dinner party. While some of the items on the menu were infused with cannabis, not everything was, giving the 20 people in attendance the option on how much they wanted to consume. The marijuana business is booming in Colorado, and two local businesses are on the forefront of the industry, offering up cannabis-infused dinner parties. 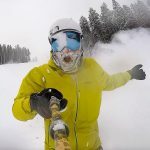 On April 14, High Country Healing and UpRooted Events — a catering service from Root & Flower in Vail — hosted their first weed-infused dinner party at a private home, featuring cannabis-infused appetizers and desserts, as well as other dishes that weren’t infused, offering the 20 people in attendance the option on how much they wanted to consume. The five-course meal also featured drink and strain pairings, featuring specialty cocktails from Root & Flower and wines paired with marijuana strains from High Country Healing, including Train Wreck, Cookie Monster and Golden Goat. Food items from UpRooted Events included Thai coconut shrimp, mini tacos, a roasted asparagus salad, braised beef short rib and a hazelnut chocolate dessert. Not all items were infused. High Country Healing and UpRooted Events have partnered before and will bring the food truck to the pot shop in Eagle-Vail this summer for its customer appreciation day. Private dinner parties are available. For more information or to book an infused dinner party, email Kristin Comerford at Kristin.comerford@gmail.com.